In what has become a classic work, Richard M. Weaver unsparingly diagnoses the ills of our age and offers a realistic remedy. He asserts that the world is intelligible, and that man is free. The catastrophes of our age are the product not of necessity but of unintelligent choice. A cure, he submits, is possible. 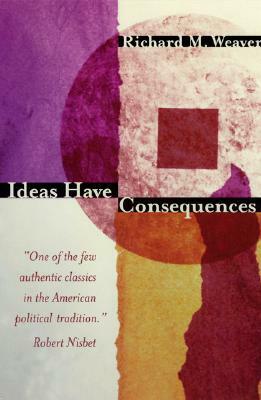 It lies in the right use of man's reason, in the renewed acceptance of an absolute reality, and in the recognition that ideas--like actions--have consequences.